Hematopathology - is the area of medical science that deals with diseases of the blood, the prediction of diseases, their treatment and prevention. Neoplasms in the neck, groin, axilla. Hyperphosphatemia. Cellular processes occur with the participation of phosphate - bone mineral foundations - which are transport of energy, transferring its to all bones, blood and urine. When hyperphosphatemia disturbed phosphate metabolism. This can lead to problems of liver and bone. Gipoatriemiya. Due to lowering of the level of sodium in the blood needed for pressure regulation, maintenance of the water balance and normal functioning of the nervous system. It is a blood disorder, the symptoms of which - the excessive consumption of water, is characterized by water intoxication organism without sodium exchange. Leukemia. Blood diseases caused by the uncontrolled division of blood cells. However, they do not ripen and do not perform their functions. This oncology and hematology together. Lymphedema. Disturbed function protecting the body from getting into the blood, lymph nodes and vessels alien microorganisms. Polycythemia. Increase the amount red blood cells (RBCs). Increasing level of hemoglobin and hematocrit. The disease leads to high blood viscosity, which leads to the formation of clots in blood vessels. Non-Hodgkin's Lymphoma. Oncology diseases of the blood. Increased number of lymph cells, and they do not die as fast as in healthy blood. Hodgkin's lymphogranulomatosis. Also noted abnormal growth of lymphatic cells. Over time, this leads to disruption of the immune system and an organism can not resist infection. Thrombocytopenia. The disease is characterized by a low number of platelets, which are responsible for clotting. 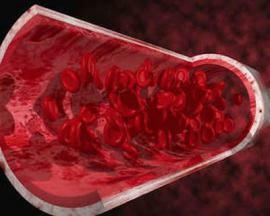 Severe forms may be the cause of strong hemorrhage due to low blood clotting. Agranulocytosis. Low drop in blood neutrophils. It reduces the human immune system. Anemia. Diseases of the blood, caused by the insufficient number of red blood cells responsible for carrying oxygen by blood. Is reduced iron levels in the blood. Aplastic Anemia. It is a dangerous disease. Often leads to death of the patient, because the immune system is very weakened and the body can not cope with infections.